An erotically-charged, profoundly unsettling new saga, PENNY DREADFUL completely reinvents literature’s most iconic and terrifying characters. Dorian Gray, Victor Frankenstein and timeless figures from Dracula join a core of original characters in a dark and brutal quest to save a soul – even as they grapple with their own monstrous temptations. Starring Josh Hartnett, Timothy Dalton and Eva Green. The series was renewed on 6.4.14 by Showtime for season 2 with ten episodes following its success with 4.8m viewers per week across all platforms with a large percentage from VOD. The season 2 premiere aired on Showtime May 3rd, 2015, but you can watch the full episode below in advance. Season 3 returns May 1st, 2016. Created by John Logan (writer Hugo, Skyfall). Starring Timothy Dalton, Eva Green, Josh Hartnett, Billie Piper and Rory Kinnear. Return to Thumbnail View. 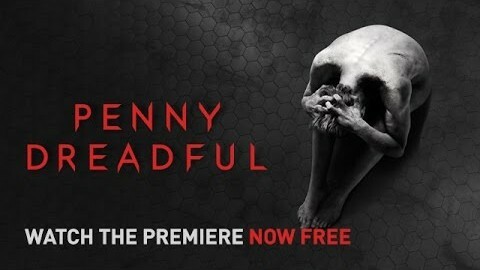 Penny Dreadful Clip – Can You Talk?